With the addition of number three and the cost of baby clothes I have been looking for ways to save a little money. I have never been one to buy clothes full price and even more so when it comes to children’s clothing as they out grow it so quickly and in the case of my boys, almost every pair of pants ends with holes in the knees. 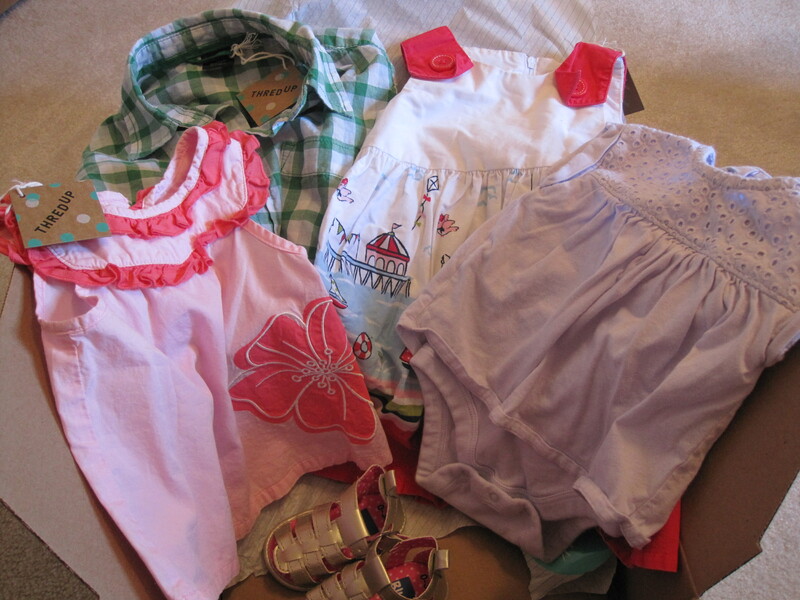 Last spring I even hit up some yard sales for the first time in my life in search of some clothing for the boys. I am no expert on coupon cutting or thrifting, but I like to share the little knowledge I have in case it may help you save a few dollars as well. 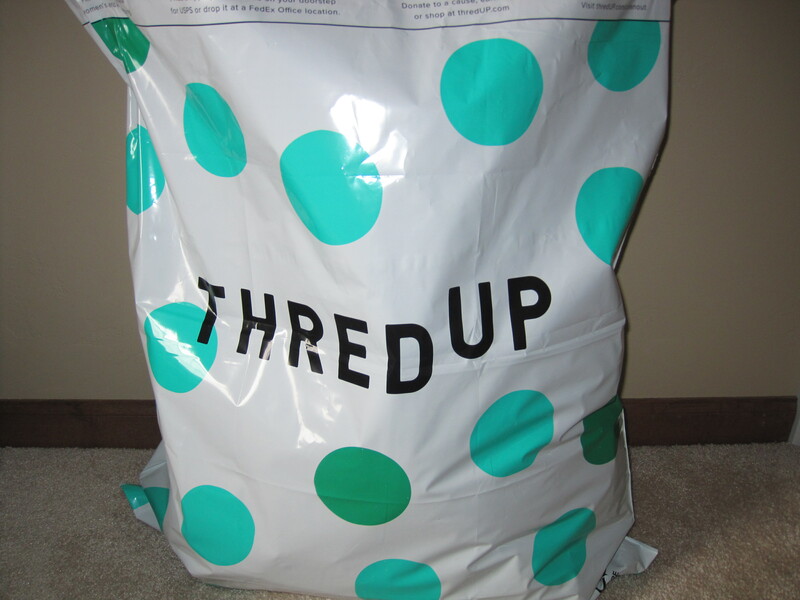 Earlier this month I made my first purchase on thredUP, I realize I am a little late to the party with this as many have been using the site for years. The site sells gently used women and children’s clothing, with almost all of it in excellent condition. Most of the clothing is brand name and is of great quality. I purchased a few items for the kids and was impressed with how good of condition they came in, not to mention the price I paid. If you don’t care for an item you can return it for free, which I always look for when online shopping. Since I was also in the middle of spring cleaning including de-cluttering the closets I decided to try out their selling program as well. They send you a bag to fill with your unwanted, gently used clothing and mail back to earn money towards your purchases or donate to a charity. If you are looking for items to add to your summer wardrobe at a reasonable price use this link and get $10 off your first purchase at thredUP. Other sites we use regularly to save a little cash, EBATES where you earn money back when you order online, Groupon and RetailMeNot. Cassie her is a thought. Here in Minnesota there are these consignments sales. The name of two of them that come to mind are Munch kin Market and Here we grow again. The latter is actually owned by a friend of mine. This is something to look for in your area. So of these do charge a admission fee. Here we grow again is free admission. There is literally thousands of things. My friend’s sale has over 20,000 items. Books, puzzles, toys, bikes, strollers, high chairs, etc. it is unreal. God bless and enjoy the spring and up coming summer.